Just a reminder about the evening SpR meeting arranged by Nalyaka Sambu. You should have received an email the event. Numbers are limited. For venue details and to check availability email Nalyaka ASAP. BJCA Book Club – 20% discount on all medicine related titles from Oxford University Press! Just a reminder that as a member of the BJCA, you are entitled to a 20% discount on all medicine related titles from Oxford University Press (OUP). The normal prices seem to be a little dearer than other online sources, and postage is a flat £3 (for any number of books). With the discount (applied at the checkout) it makes it worthwhile for some books but please do shop around. There were some teething problems I encountered when testing it, but it should be working fine now. OUP have extended the book club offer to 30 April 2011 and hopefully this association will continue beyond this date, but this will be dependent on uptake. Attached is the programme for the November training day at Salisbury Hospital hosted by Tim Wells. To give an idea about numbers can you let him know? NTNs - in line with a national reduction in NTNs for cardiology, Wessex will lose 15% of NTNs over the next 3 years, mostly by natural wastage - i.e. some NTNs will not be re-issued when trainees CCT. Recruitment Gaps - In Jan 2011 there will be 7 gapped posts in total. 4 LATS are going to adverts in the next few weeks so if you know any promising candidates tell them to keep 'em peeled. OOPE - 1 year notice of intent to take OOPE is required to enable the rotation to be properly planned. If you are thinking of taking it, tell the STC ASAP, even if firm plans (funding...) haven't been formalised - email ALC and Elizabeth Martin at the Deanery. This applies to both research and clinical fellowships. You will have to satisfy both Deanery & JRCPTB requirements. Quality Assurance - The STC were disappointed at the low response rate to the recent satisfaction survey initiated via John Paisey at RBH. 19 out of 30 NTNs replied, all essentially positive and none suggesting that GIM/cardiology combined posts put them at a disadvantage with respect to procedural numbers etc. This will be repeated, and though anonymous, will be a RITA/ARCP requirement. The Deanery needs to have, in place, a formal means by which you can feed back your views without fear of recourse - this is it. KBA - discussed. All Wessex trainees passed. Average mark 69%. Cost noted. Niche Subspecialties eg GUCH will undergo national coordination of available training posts via the BCS education website. Probity - unless you want to be removed from the rotation, and face GMC action, NEVER EVER fake/falsify any documents/logbooks...this recently happened in Wessex, where a trainee attended a RITA having apparently disingenuously entered some signatures - he is no longer a trainee and faces charges. Computer access - it is acknowledged that computer terminal access is mandatory to enable daily tasks such as test requesting, result access, echo reporting etc. Additionally, ePortfolio management requires IT access, as does RITA prep. It was fed back that trainees in a number of large centres find this difficult. Interventional training - the possibility of coordinating regional PCI training between SGH and RBH fellowships was discussed. This has been looked into but is impractical due to HR department issues. Additionally, it is generally felt that interview and CV development is generally poor amongst all trainees, and the job application process hones these areas in advance of CCT. RITA/ARCP - external representation from other regions at RITAs/ARCPs/PYAs will be broadened to safeguard wider geographical representation - i.e. there will be panel members from further-flung Deaneries than Oxford in future years. This free event takes place directly before the Europe AF conference. The programme for this educational session looks excellent, with a highly regarded faculty. In addition, if you wish to attend the full conference, a heavily discounted rate of £100 is available through the same link. 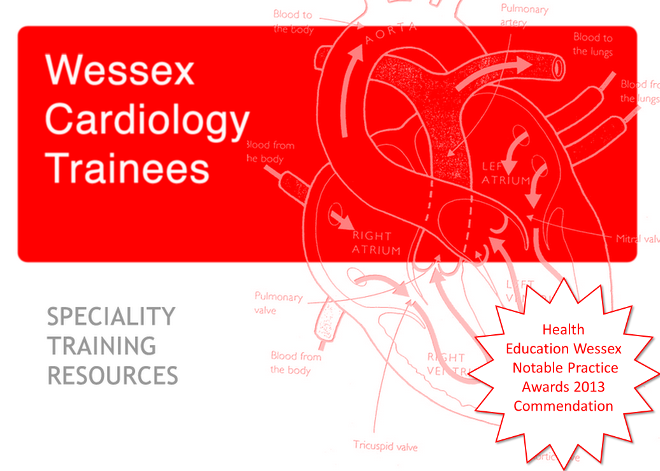 A full day course dedicated to cardiologists, cardiac imagers and cardiac surgeons from trainee to consultant. Advanced cardiac imaging provides understanding of the disease process and enables optimal interventional strategy design. This course is designed to assist the interventionist in understanding different imaging technologies and integrating them into daily clinical practice.